The woman passed out after getting on the plane. Ashley Spencer boarded an American Airlines flight Sunday hoping a doctor from the Cleveland Clinic could treat her serious illness. She just never expected it to happen midflight. 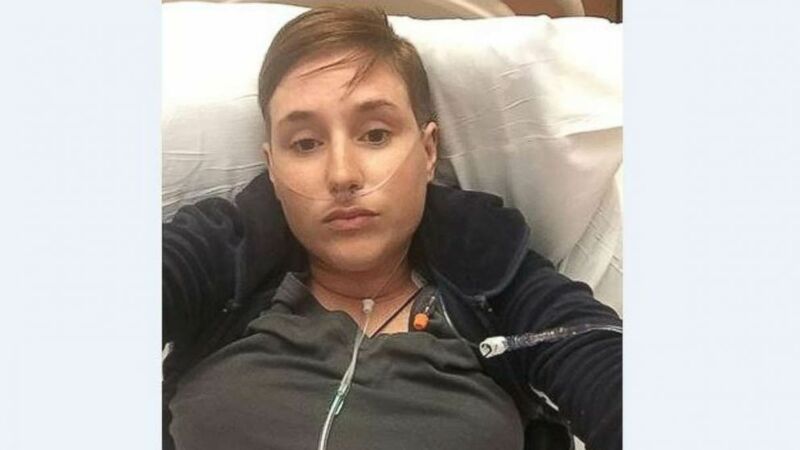 Spencer, a Philadelphia native, boarded her flight to Cleveland Saturday seeking treatment for eosinophilic granulomatosis with polyangiitis (EGPA), an extremely rare autoimmune disease that causes inflammation in a person's blood vessels. Instead, it was her severe peanut allergy that almost cost her life. The 28-year-old had eaten a bag of chips before boarding her flight that she believes triggered an allergic reaction, she said in an interview with Cleveland ABC affiliate WEWS. 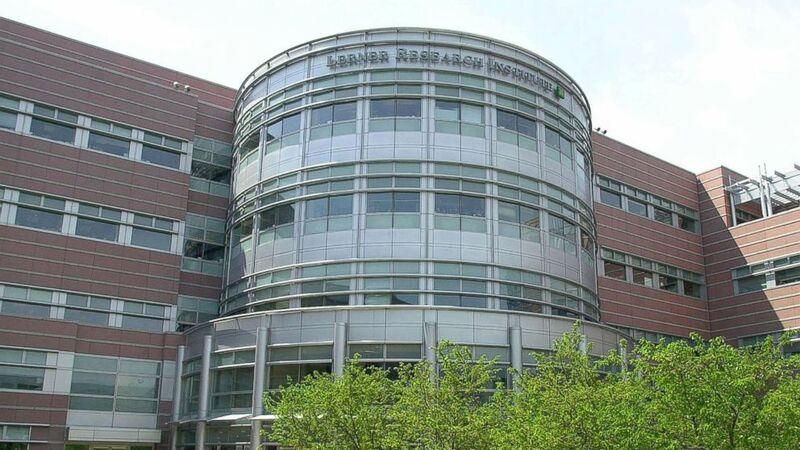 (David Maxwell/AFP/Getty Images, FILE) The Lerner Research Institute at the Cleveland Clinic in Cleveland, Ohio, May 10, 2001. Once on board the plane, Spencer passed out and started to go into anaphylactic shock. Spencer said she stopped breathing, but did she have a pulse. Flight attendants asked if there were any medical professionals on the flight, and Dr. Erich Kiehl stepped up. The electrophysiology fellow -- who just happens to be employed by the Cleveland Clinic -- injected Spencer with an EpiPen four times, according to WEWS. A doctor from North Carolina who was on the plane also helped, Spencer said. Spencer told WEWS her heart is already weak due to her autoimmune disease and having a doctor on board to monitor her vitals may have saved her life. (WEWS) Ashley Spencer, 28, went into anaphylactic shock on a flight to Cleveland Saturday, May 5, 2018, but was saved by doctors on board. The plane ended up making an emergency landing in Pittsburgh, where Spencer was rushed to the hospital. She spent the night in the ICU, according to WEWS. She will make her Cleveland Clinic appointment where she hopes to discuss enrolling in a clinical trial to treat EGPA. Spencer said she hopes to meet up with Kiehl at the Cleveland Clinic when she makes her appointment Monday.